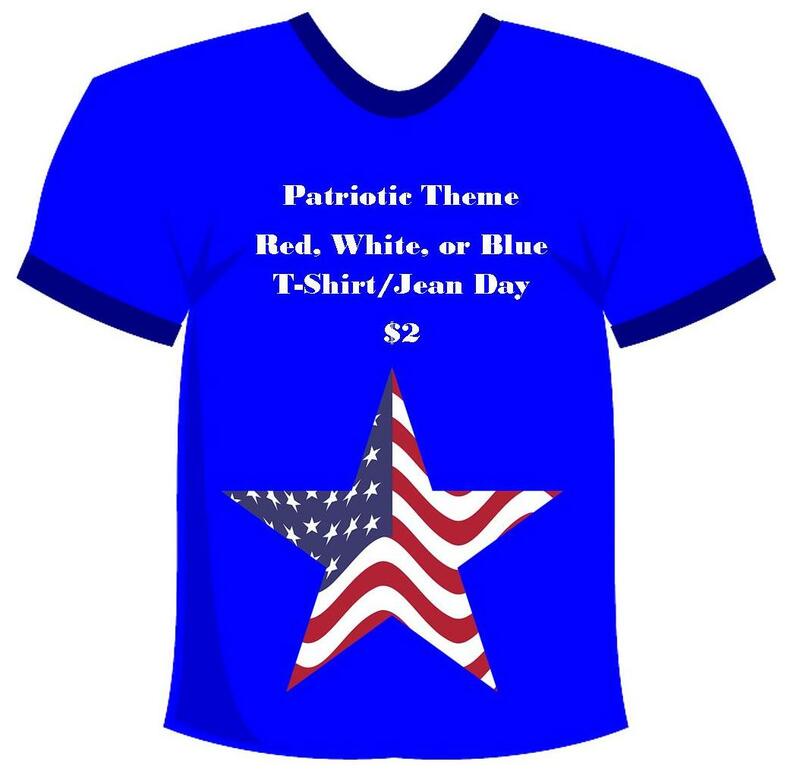 For $2 students may wear a patriotic red, white, or blue t-shirt with jeans or uniform bottoms. Non-uniform shoes are permitted. See Parent/Student Handbook for free dress guidelines.